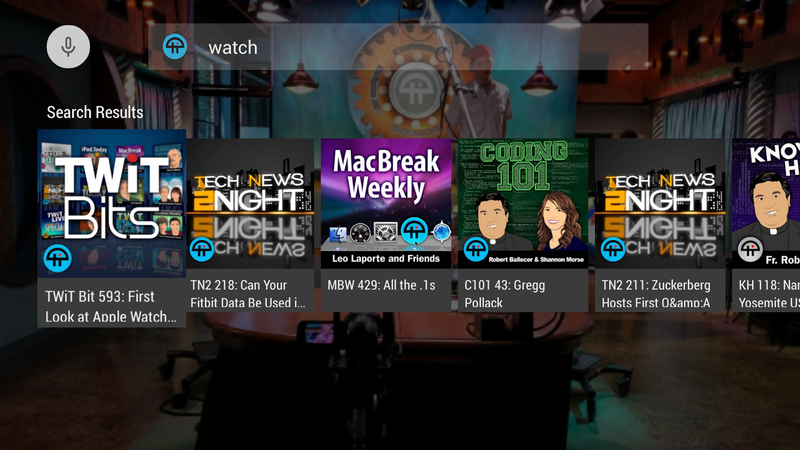 Designed for Amazon’s Fire TV, it allows you to watch live video streams from Twit.tv, Leo Laporte’s Internet Broadcasting Network via your TV. 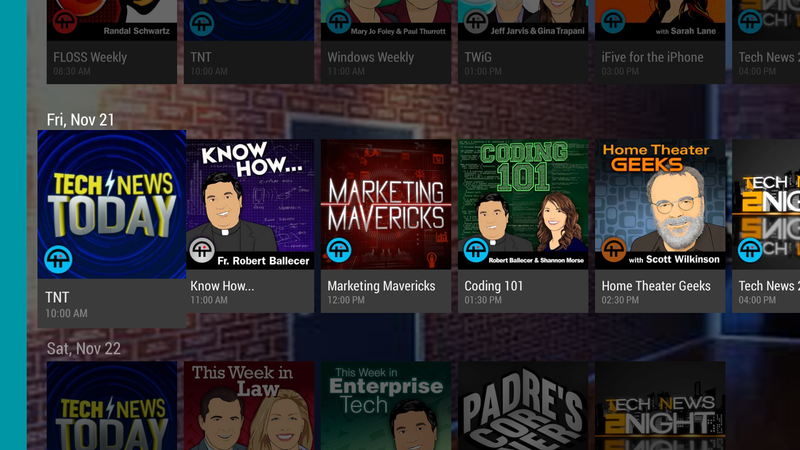 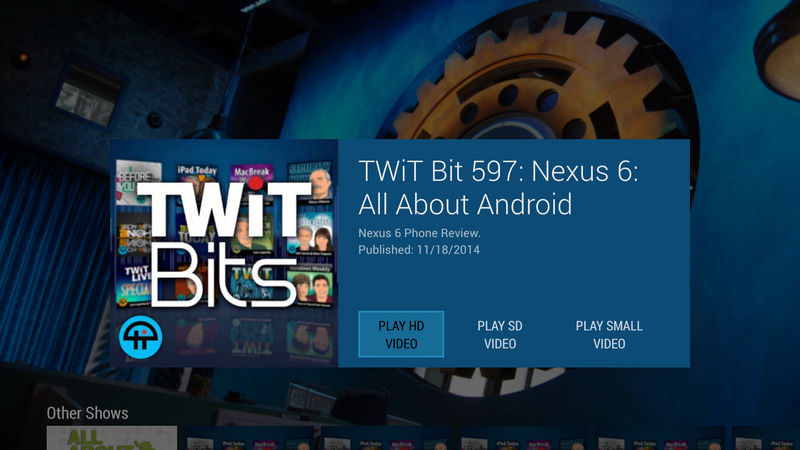 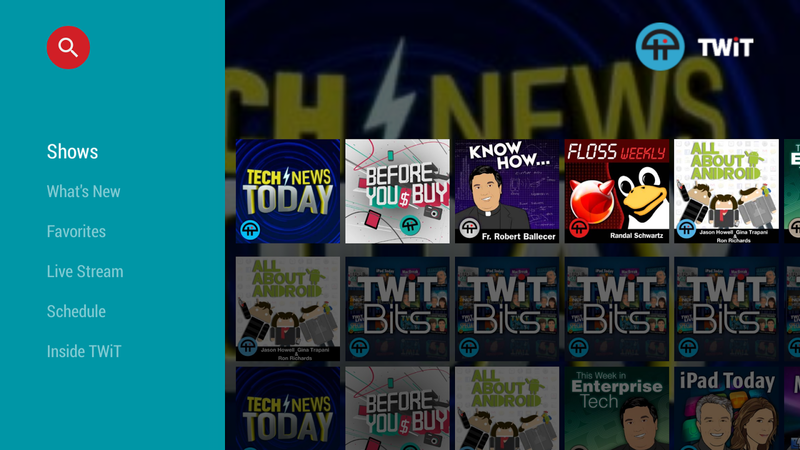 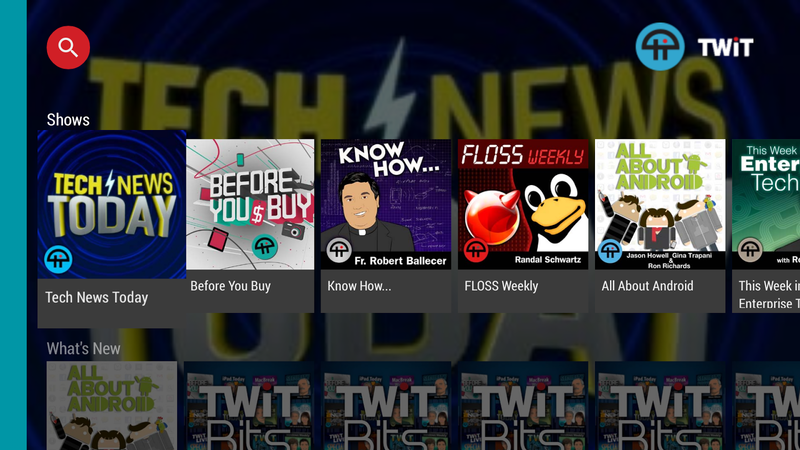 In addition to the live stream you can choose from and stream the on demand shows twit publishes as video podcasts. 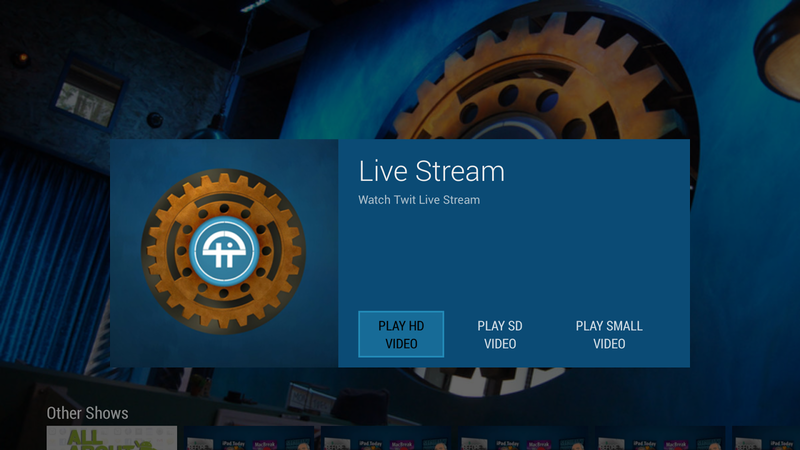 The Application supports live streaming via Twit’s Bitgravity broadcasts as well as their UStream and FloSoft Feeds configured via the options menu. 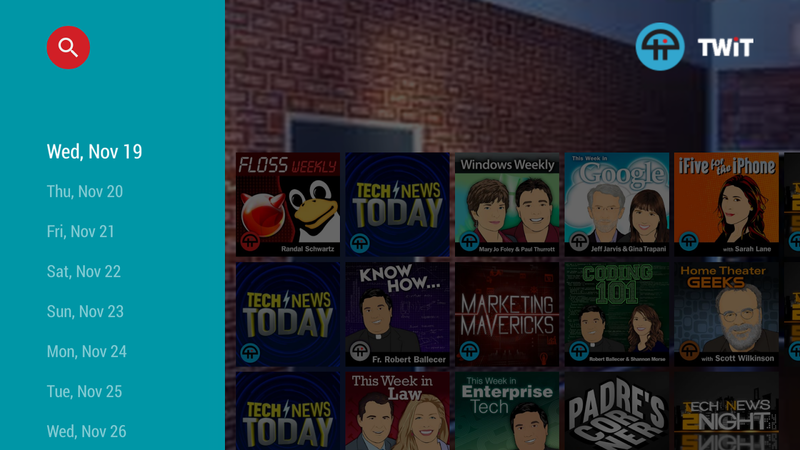 Please use the contact form above to submit bug reports or feature requests.